LG has announced that they will be bringing two new L series phones to IFA in Berlin in September. The phones, the L Fino and L Bello, are being called “powerful alternatives to higher-priced smartphones” and are geared toward emerging markets. The phones are 3G capable and will begin shipping in Latin America, with some countries in Europe, Asia and CIS to follow. Pricing and availability will be announced in the local markets at the time of launch. 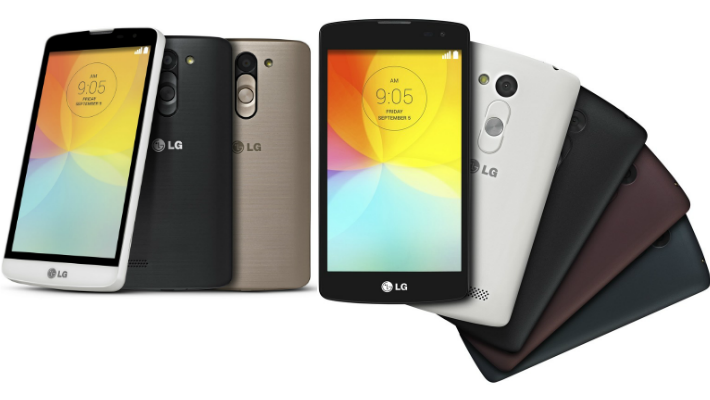 Both phones will have LG’s rear button layout, as made popular on the higher end G2 and G3 devices. 8MP rear camera sensor with LG’s proprietary camera software promise fast and high quality photo capture, plus a handful of LG’s other unique connectivity features, like Knock Code and support for QuickCircle Case promise a premium experience. While phones of this caliber often fail to impress in comparison with the higher end flagship phones that we always read about, vendors like Motorola have found great success with similarly equipped inexpensive phones in the Moto E and Moto G. We’ll have to see these new L phones in action, but the 8MP camera certainly promises a slightly different focus, and advantage, for the same segment of users. We’ll be bringing you coverage from IFA in Berlin, stay tuned, I’m sure we’ll have more to share about the LG L Fino and LG L Bello from the show in September. Were you looking forward to another set of L line budget phones from LG, or is the market about saturated already?